The upcoming Special Topic Issue entitled "Local Therapy in Metastatic Prostate Cancer", from special issue editor Isaac Yi Kim, MD, PhD, MBA, is scheduled to be published in April. We are seeking articles for this issue on: systematic review/mini-review of therapy with future agents such as immunotherapy. Deadline for paper submissions: April 19, 2019. To further benefit SBUR members, AJCEU offers a twenty-five percent (25%) discount off publication fees charged to authors, and any manuscripts (special articles) authored by SBUR members which are invited by AJCEU for publication will be published free of charge. Please identify yourself as an SBUR member in a cover letter with your submission. As of 2017, The American Journal of Clinical and Experimental Urology (AJCEU) is the official journal of the SBUR. AJCEU is an open-access medical journal that publishes papers produced by SBUR members and other researchers. The scope of AJCEU encompasses all areas of Urology. AJCEU welcomes original and review, commentary, and current opinion articles on both clinical investigation, translational, and basic research. Occasionally, editorials, special topic issues, short communications, case report, policy related topics and invited perspectives will also be published. Manuscripts, including figures and tables, must be original and not under consideration by another journal. SBUR has significant involvement and representation with AJCEU, specifically with regard to manuscript review and acceptance responsibilities for publishing papers. Below is a list of how SBUR and ACJEU are working together. Scientific Advisory Committee - To ensure that the AJCEU is maintained at the highest levels of integrity and quality, the SBUR will nominate a majority of the members to the Scientific Advisory Committee to develop and oversee policy decisions of AJCEU. The SBUR Immediate Past President will serve as chair of this Committee, and shall hold the title of Journal’s “Associate Editor”. Editorial Board- The AJCEU Editorial Board will also include the participation of SBUR members. The Editorial Board will review manuscripts according to guidelines established by the Editors-in-Chief and the Scientific Advisory Committee. 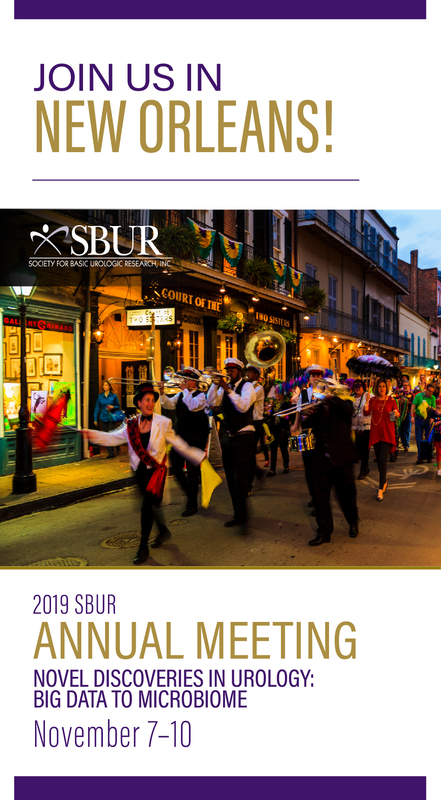 The Editorial Board shall meet a minimum of once per year during the SBUR annual meeting. SBUR Member Submissions - To further benefit SBUR members, AJCEU offers a twenty-five percent (25%) discount off publication fees charged to authors, and any manuscripts (special articles) authored by SBUR members which are invited by AJCEU for publication will be published free of charge. Please identify yourself as an SBUR member in a cover letter with your submission. Click Here for instructions for authors. SBUR Meeting Summaries - Proceedings of the SBUR fall meeting will be published in AJCEU (including meeting abstracts and session summaries). 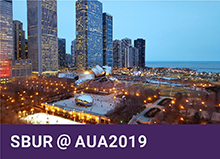 All SBUR annual meeting travel award recipients will automatically qualify for submission of a full length manuscript of their presentation at SBUR to AJCEU. Abstracts from the SBUR Fall meeting will be published in AJCEU, which is indexed in Pub Med. If you have questions regarding the American Journal of Clinical and Experimental Urology, please email [email protected] or [email protected].